Our odds of success are increased when we narrow our focus with concrete, observable measures. Once we've set an instructional priority, our odds of success are increased when we narrow our focus with concrete, observable measures. That way, we know what we’re aiming for when we step into the classroom. A priority as broad as “text-dependent questions” doesn’t offer a clear picture of what we want to see in planning and instruction. But if we transform the priority into something more specific that we can see and hear such as, “Teachers ask text-dependent questions that address challenging areas of the text, and scaffold students toward key understandings, leading to discussion and student writing,” things become much clearer. It's critical that teachers and leaders are on the same page when it comes to what we're aiming for in instruction. The precisely defined indicators of effective, Common Core-aligned instruction included in the CCSS Instructional Practice Guides help everyone align on what they want to see and hear in the classroom. 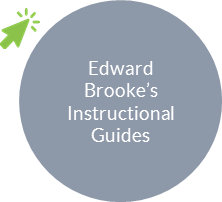 Edward Brooke, an urban charter school in East Boston with a population that includes 75% low income students, 13% English Language Learners, and 6% students with disabilities, is part of the highest performing district in Massachusetts. Teachers and leaders worked together to create “vision of excellent” documents that define the elements of great teaching, in clear, straightforward language. (You can read more about Edward Brooke's observation process here.) These documents can be used in combination with the instructional practice guides to help you refine your vision with clear and measurable indicators of success.